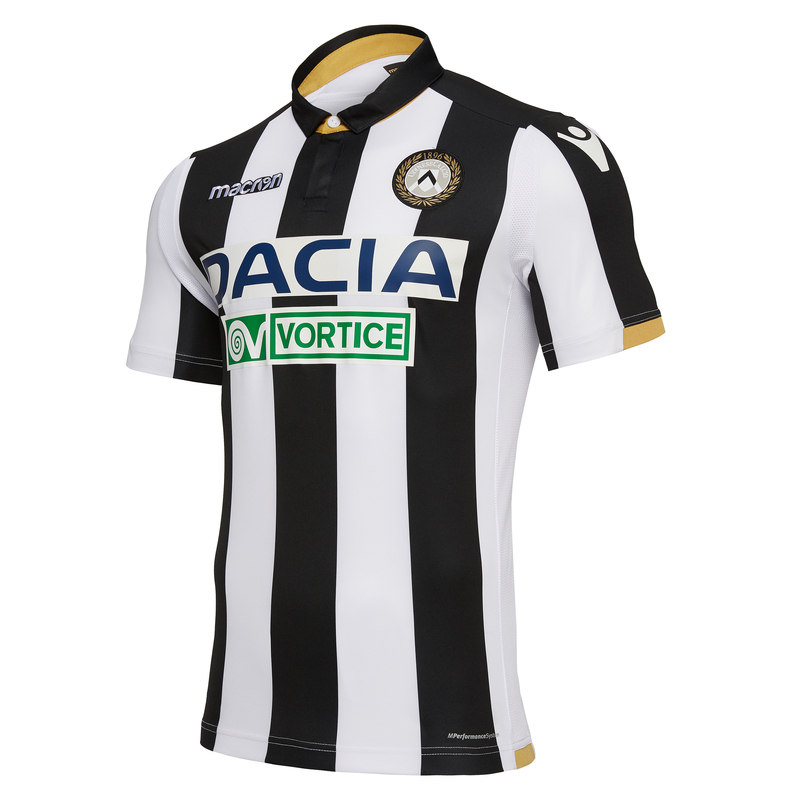 The Udinese home shirt comes in black and white stripes and is finished with gold-coloured rib-knit inserts both at the end of the sleeves and at the bottom of the shirt. The shirt is finished with details which pay homage to the club’s history and tradition: the personalised backneck with the words ‘I primi bianconeri d’Italia’ and the back of the collar with the embroidered famous words ‘La passione è la nostra forza’. Completing the look are the mesh inserts which guarantee optimal ventilation and long-lasting freshness even in the most challenging game situations. 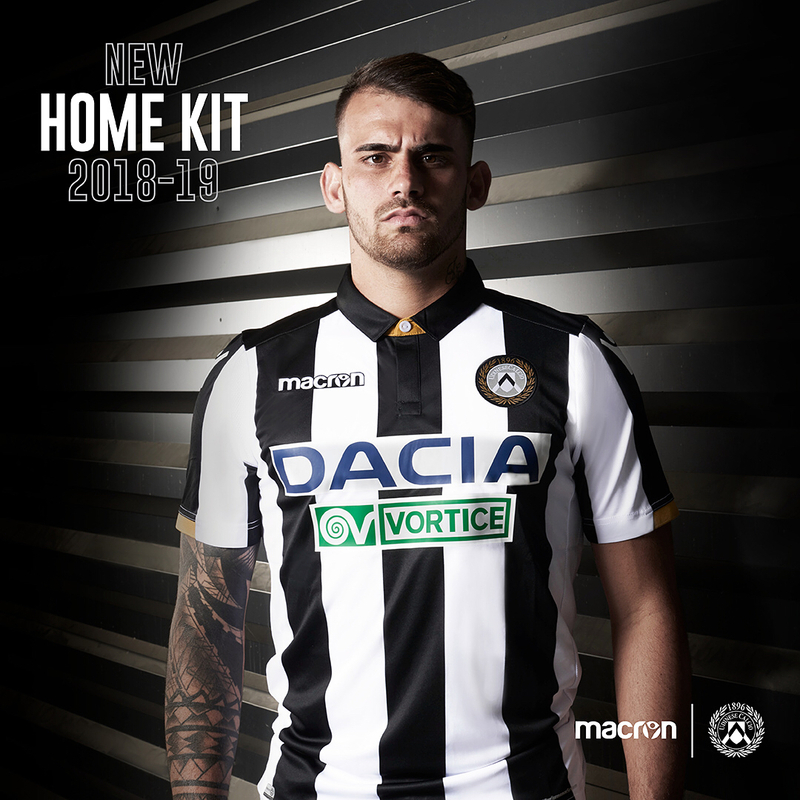 Black shorts with the gold inserts complete the Udinese 18-19 home kit.